Weather is probably harder to understand than particle physics, given the numerous complexities that influence Earth’s atmosphere. But one researcher has published a controversial new paper that examines just how much high-energy, interstellar particles can affect Earth’s climate. Henrik Svensmark at the Danish National Space Institute has long pushed a theory called “cosmoclimatology,” which posits that high-energy particles from outer space can influence the climate here on Earth. His group has published new experimental research furthering the idea. But there’s a big difference between an interesting lab experiment and a knockout piece of evidence for an alternative cause to greenhouse gas-induced climate change. Svensmark’s new paper comes from experiments in an eight-cubic-meter (2,000 gallon) steel tank. 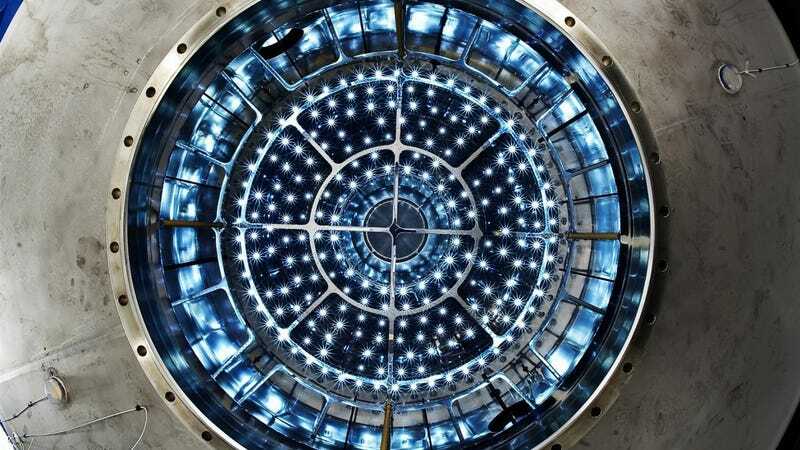 By increasing the amount of electrically charged particles passing through the chamber, they were able to get more clouds to form out of teeny solid and liquid particles suspended in the chamber. Combining this with scientific modeling, they came up with further evidence that charged particles from space might influence the weather. Naturally, this has come with hype, and implications that more cosmic rays might mean a cooler climate, and fewer could lead to a warmer climate. Svensmark has published previously on “cosmoclimatology,” and climate change deniers have used his work to support their otherwise unsupported beliefs. He has suggested, implausibly, that his theory on the cause of climate change is at least as scientifically sound as global warming caused by greenhouse gas emissions. This idea has been further adopted by climate change-denying groups, reports Grist. Recent research from the CLOUD experiment as a whole stands in contrast to Svensmark’s results, and found that, given the present day atmosphere and all of its particles, “cosmic ray intensity cannot meaningfully affect climate via nucleation.” Basically, particles here on Earth released by trees and humans have a much stronger influence on cloud formation and creating Earth-cooling clouds. It definitely appears that charged particles have some effect on cloud formation in a lab, sure. But global climate change can’t been explained away that easily—especially given the truckloads of evidence that humans are driving it by emitting greenhouse gases.